Happy New Year! I hope that 2016 is off to a good start for all of you. It’s now been three years since I started “Recovering Shopaholic.” As the saying goes, time flies! Thank you so much for accompanying me on my journey, whether you’re new to the blog or have been following my posts since the early days. Before I delve into my fourth year of blogging, I’d like to briefly pause to reflect upon year three. Since I started this blog on January 2, 2013, I have published over 300 posts on the topics of wardrobe management, personal style, shopping behavior and psychology, accountability, living a fuller life, and more. During 2015, 99 new posts went live and thousands of comments were made by dedicated readers. In today’s post, I share the most popular posts of 2015, as well as my personal favorite posts. I also highlight the most visited outgoing links from the blog last year. Those who are new to “Recovering Shopaholic” will get a chance to check out the highlights of 2015, and longtime readers will have the opportunity to revisit some posts they enjoyed the first time around. My 12 posts below received the most traffic out of all of the articles I wrote during 2015. The most popular topic was wardrobe management, but posts on personal style, behavior and psychology, minimalism, and living a full life were also enjoyed by readers. These topics will continue to be my primary focus during the coming year. More Thoughts on At-Home Wear (March 17) – This was a follow-up to Terra Trevor’s wonderful guest post, “The Clothes We Wear at Home” (see below), which was the third most popular post on the blog this year. I took a look at what I’d been wearing at home and vowed to make some changes, as I want to feel good in what I’m wearing all the time, not just when I’m out and about. Closet Downsizing and Wardrobe Minimalism Tip from Readers (July 24) – This was also a follow-up post, this time on my response to a reader who asked for help in downsizing her closet. The comments on that post were so good that I decided to share the best ones as a standalone so more people could benefit from readers’ words of wisdom. 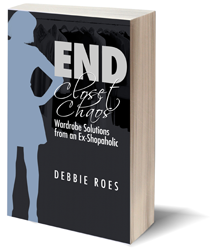 Ending Closet Chaos: My New Book and Next Wardrobe Challenge (January 9) – I announced my second book, “End Closet Chaos” and introduced my “Love it, Wear it” wardrobe challenge (LIWI). LIWI ended up being a tremendous help with both my wardrobe and my style (an end of the year LIWI wrap-up will be posted soon), so I highly recommend it if you’re pondering a challenge for 2016. May 2015 Post “KonMari Method” Closet Inventory (May 19) – After letting go of 55 pieces through using Marie Kondo’s “sparks joy” method, I took an inventory of my closet. I learned that I had decreased my total wardrobe number (clothes, shoes, and accessories) by 17% since the beginning of the year. I will be doing another closet inventory soon, so we’ll see how much more I’ve been able to downsize since May. On Tidying, Books, and What Sparks Joy (March 9) – Shortly after reading “The Life-Changing Magic of Tidying Up,” my husband and I decided to put the “KonMari Method” to the test with our large book collection. I share my thoughts on the process, some photos, and our results. When all was said and done, we had gotten rid of two-thirds of our book collection – and we haven’t missed any of them since! Where to Find Quality Clothing (March 27) – As the quality of clothing from many retailers has plummeted, it’s gotten harder and harder to find garments that will last beyond a season or two. In this post, I list my favorite locations for finding quality clothing, as well as some additional resources provided by readers. The list is arranged by wardrobe category to make it easier to find what you need. I’m going to revisit this topic again soon and share tips from readers. Is Shopping Your Only Hobby? (April 21) – After seeing a comment written about compulsive shoppers on a fashion-related forum, I admit that shopping has been my default activity for many years. Whenever I had some extra time, I shopped, but I deluded myself into believing that shopping was actually fulfilling for me. In this open and honest post, I confess that my life has become very empty and that I need to find some new hobbies to add more joy to my life. What Are Your Wardrobe Do’s and Don’ts? (May 5) – When we are working to overhaul or refine our personal style, it can be helpful to take some time to consider and write about what we like and what we don’t like. In this post, I share some notes about what I do and don’t want in terms of my wardrobe and style moving forward. Looking at the lists today, I can see how they helped me to downsize my closet and hone my personal style since that time. Love It, Wear It Challenge: One Month In (February 5) – After taking on the challenge of only wearing what I love and creating a “working closet” filled with those items, I share the clothes and accessories that I wore during the first month of LIWI. I also encapsulate the lessons I learned, including the patterns I noticed and the need for variety in my wardrobe. Closet Culling Advice for Aspiring Minimalists (July 21) – This was the post I referred to under #3 above. A reader wrote to me about her desire to become a minimalist and her quandary over having a closet full of items she either likes or loves. I address her various fears about downsizing and share some of my personal story of culling my closet over the years. Lessons from My Outfit Journal: Slimmer-Fitting Jeans (April 14) – Throughout the year, I shared some of the entries from the outfit journal I’ve been keeping since July 2014. In this post, I look at how the style of jeans I like to wear has shifted recently. Whereas I used to always wear boot-cut and wide-leg jeans, I now prefer a narrower silhouette. This post highlights four recent outfits featuring slimmer-fitting jeans. The Clothes We Wear at Home (March 12) – This excellent guest post from Terra Trevor was actually the third most viewed essay on the blog last year! Apparently, a lot of people must struggle with what they wear at home. A story from Terra’s past underscores the importance of at-home clothing, which is often the missing link in many of our wardrobes. If you’d like to read more about the specifics of what Terra wears at home, check out this follow-up post on her personal blog. 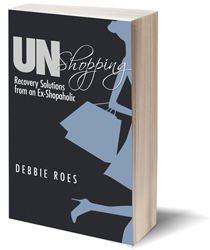 From Spiraling Out of Control to Thoughtful Shopper (February 19) – This post in my “stories of recovery” series began as an email from a reader named Jessica, who shared her journey of overcoming a serious compulsive shopping problem. On Paring Down, Project 333, and World Travel (January 26) – This story of recovery was a great one to kick off the year. Chao Le tells about how she decided to quit grad school, get rid of two-thirds of her possessions, and travel the world. Chau used the concepts from minimalist fashion challenge Project 333 to help her downsize and she continues to live with a small wardrobe today. While many of the popular posts on the blog are also among my favorites, there are a number of other posts that I was very happy with over the course of the year. I have found that my most-loved posts tend to be those in which I am the most open and honest. They also tend to be in the categories of behavior and psychology and living a fuller life. Although I didn’t write as many such posts last year, I think I will be writing more of them in 2016, as I feel I need to focus more on those areas as I progress in my recovery. Of course, I will continue to write a lot about wardrobe management and personal style, too, as I know those are topics that readers enjoy (and I do, too). Being Deliberate with Our Wardrobes and In Our Lives (February 10) – In recent years, I selected a theme to help guide my focus and direction. For 2015, I chose “deliberate” as my word for the year. In this post, I outline my views on deliberate shopping, a deliberate wardrobe, and a deliberate life. Cultivating New Hobbies – My First One to Share (April 28) – After deciding to explore new hobbies beyond shopping, I highlight my first one, photography. I share how I got started in this pursuit and include some of the favorite photos I had taken thus far. Since that time, I continue to take photos at least a few times per week and I have done periodic “photography interlude” posts (2o18 update – all of my photography posts have been moved to my new blog, Full Life Reflections). On Loneliness – Some Thoughts and Images (June 2) – One of the reasons why people shop too much is due to loneliness. This has been a big driving force of my overshopping through the years and I continue to struggle with this issue in my life. I explore this theme in greater detail and share some of the lonely images I have captured with my camera in various locales. Lessons from a Clothing Swap (June 17) – This past summer, I attended my very first clothing swap. While I was very disappointed in the offerings at this event, I did manage to gain some valuable lessons from my attendance. I look at the ways in which I have changed since starting my blog, including my focus on higher clothing quality and my different perspective on shopping. Wardrobe Pieces that Stand the Test of Time (June 23) – This is a follow-up post to one I did in May on wardrobe turnover. A few readers had wanted to know what my long-lasting closet items had in common, so I wrote this post to answer their questions. I enjoyed encapsulating the distinguishing characteristics of these pieces. I still own five items that have been in my closet since before 2008 and I still wear all of them. Am I Living a Deliberate Life? (July 17) – As I mentioned above, I selected “deliberate” as my guiding theme for 2015. At the midpoint of the year, I check in on my progress with being more intentional in my shopping, wardrobe, and life. I discovered that it’s a lot easier for me to be deliberate with my clothes than in many other areas of my life. At the end of the post, I set ten intentions for the remainder of the year, none of which center around my wardrobe. On Sales, Marketing Messages, FOMO, and Shopping (August 4) – My favorite sale to shop is the Nordstrom Anniversary Sale, but the marketing messages for last year’s sale rubbed me the wrong way, as they centered heavily on FOMO (fear of missing out). I analyze some of these messages and discuss how my experience of shopping the sale has evolved since I started the blog. Style Reflections – Summer Outfits Then and Now (August 12) – My summer style has changed quite a bit over the past few years. To demonstrate that, I share eight looks from 2013-2014, as well as eight looks from summer 2015. I highlight what I would change about the earlier looks today and what I like about my current style. Recovery is Not a Linear Process (August 18) – A harsh comment on my July Accountability Update led me to explore what recovery from compulsive shopping really looks like. It usually involves lots of ups and downs, triumphs and setbacks. I discuss my recent backslide into overshopping and outline a five-step process for dealing with setbacks. Photography Interlude – Lake Tahoe (October 6) – In late September, I took my first trip in over a year, to visit family and friends in Lake Tahoe. It was my first trip since starting my photography hobby and I really enjoyed capturing the amazing scenery of that beautiful place with my camera. I share images from all around the lake, as well as some photos of the loved ones with whom I enjoyed spending time. Being Deliberate in the Home Stretch of 2015 (December 12) – As the year drew to a close, I did one final update on my 2015 theme, “deliberate.” While I thought I had faltered in living up to this theme, I learned that I had made a lot more progress than I thought. I intend to continue being more deliberate in 2016, but I will also work on being more balanced in everything I do. Stay tuned soon for a look at how I see “balance” unfolding for me this year. My Style Evolution: 2000 – 2015 (December 22) – My style has changed considerably from my mid-thirties to my current “on the cusp of 50” station in life. Since a picture speaks a thousand words, I share many photos from 2000 through to today and comment on the various themes that have shown up in my style over the years. I close with sixteen of my favorite outfits from 2015 and some thoughts on how I see my style continuing to evolve this year. Here are the 12 most popular outgoing links from “Recovering Shopaholic” in 2015. Unlike in 2014 when a full two-thirds of the most popular links were repeats from the previous year, only two of the links on the 2015 list are repeats, “The Ultimate Mix and Match Fashion Guide” from Bridgette Raes and “How to Determine Your Style” from yours truly (from back when I had my wardrobe consulting business). All of the other links below were new in 2015. If you haven’t checked out this useful information before, you may want to take a look now. It has been my pleasure to share helpful content written by other bloggers, and this is some of the best of the best. I will probably re-visit many of these articles myself! I’ll be back soon with some more 2015 wrap-up posts, as well as my word/theme for 2016 and another great “story of recovery” from a reader. In the meantime, I welcome your comments about this post or anything else you’d like to share. As both a former accountant and a former researcher, I am always delighted by your ability to analyze and report data in different ways! This is such an interesting view into what’s on the mind of your readers. Almost every post strikes a nerve with something I have experienced or am struggling with now, but one topic that I know made a difference for me in 2015 was dressing at home. I used to keep the stretched-out, pilled, and holey tops, the too-short pants, and everything in colors I’d decided I didn’t like, for wearing at home. After reading both your post and the guest post, I realized that I’m at home 95% of the time, why am I devaluing myself by wearing things that don’t make me feel my best? I’m not the type to do my hair and makeup everyday just to answer the door, but I do want to wear an outfit that makes ME happy, even if I see no one else all day. From the overall wardrobe perspective, it was very helpful to have your thoughts on minimalism, closet purging, and Marie Kondo method. Some of these ideas can be taken to extremes, so approaching them “deliberately” and keeping things in “balance” are the best ways for those of us who are -aholics of whatever. The other overall theme I picked up this year was that how all of our – tendencies? ailments? challenges? – whatever you want to call them, are so closely intertwined. 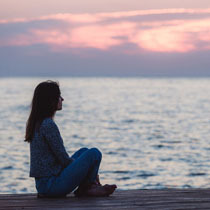 One of my doctors once told me that migraineurs tend to be highly sensitive people, that is, they will commonly suffer not only from migraines, but also allergies, GI difficulties, depression/anxiety, immune disorders, environmental sensitivities and so on. Throw a couple of addictions into the mix, and it’s no wonder we are in a constant fight for control. Yet, as you show us, we can still live a full life. Thank you for continuing to be an inspiration. I really appreciate your comment, Katrina. I love knowing that my posts have impacted readers and how. I think a lot of people don’t put much thought (or money) into what they wear at home, but it really can make a big difference in how we feel. I think it’s okay to “downgrade” out clothes to a point, but I agree that stretched out, overly pilled, and holey clothing isn’t doing any of us any favors! Interesting what your doctor said about migraineurs – it really fits me to a T! I especially battle GI difficulties and depression/anxiety in addition to migraines. I’m so happy that I can be an inspiration even as I struggle and figure it out as I go along. I honestly think it’s really fun to see people get rid of mountains of crap. That explains the appeal of the KonMari method to me. I actually googled “Konmari before and after” just so I could see mountains of crap right next to the picture of the orderly closet with 10 carefully curated articles of clothing neatly hung on evenly spaced hangers (with lots of space in between). Well, I guess it’s not really mountains of “crap” but more mountains of what we once thought was so important and now can’t remember. At least that’s true for me. I enjoy seeing those types of before and after pictures, too, Jane. I think a lot of what we consider “treasures” when we buy them quickly become part of those “mountains of crap.” It can be very helpful to consider what is still “sparking joy” for us today or at least what is truly useful in our lives. We often keep things out of habit or because we spent money on them, but it can be SO freeing to let go of things.